KAHANA WAI-A HIDDEN GEM in what many claim to be the best location on Maui (and hence, the world! 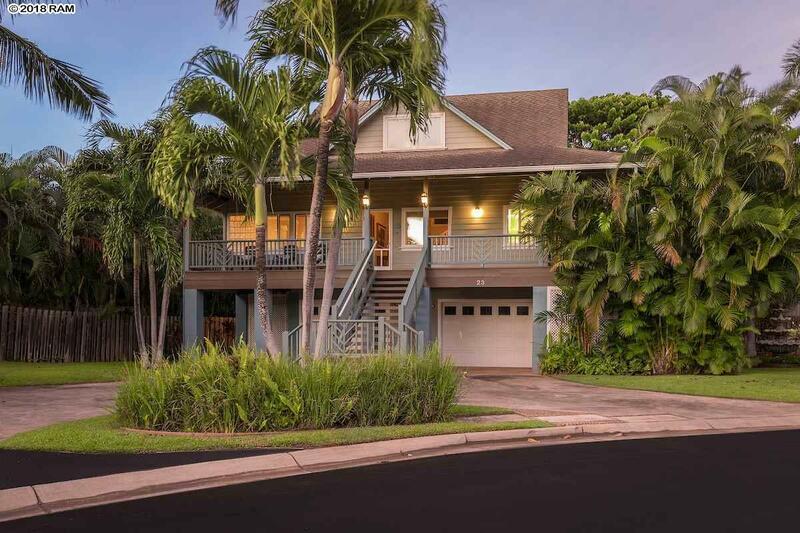 ), just a across the street from several secluded West Maui beaches. Discover the private, gated neighborhood and warm, inviting beauty of this 3br/2.5 ba/2car garage home with the living/kitchen area and master bedroom on the main floor. Located between the world class resorts, dining, and golf courses at Kapalua and Kaanapali, and just 10 minutes from historical Lahaina Town and harbor with it's award winning restaurants, activities, and outlet mall, the home features include granite counters, bamboo flooring, split system A/C, and front and back covered lanais. You'll love the home's classic contemporary/plantation design and pristine tropical setting high above a quiet stream, creating a safe and wonderful retreat in paradise. Call your favorite Realtor soon to take advantage of this great opportunity....and Welcome Home!